Auto Add-ons provides lines of running boards that allow most trucks to have the hottest and most aggressive running boards designs. 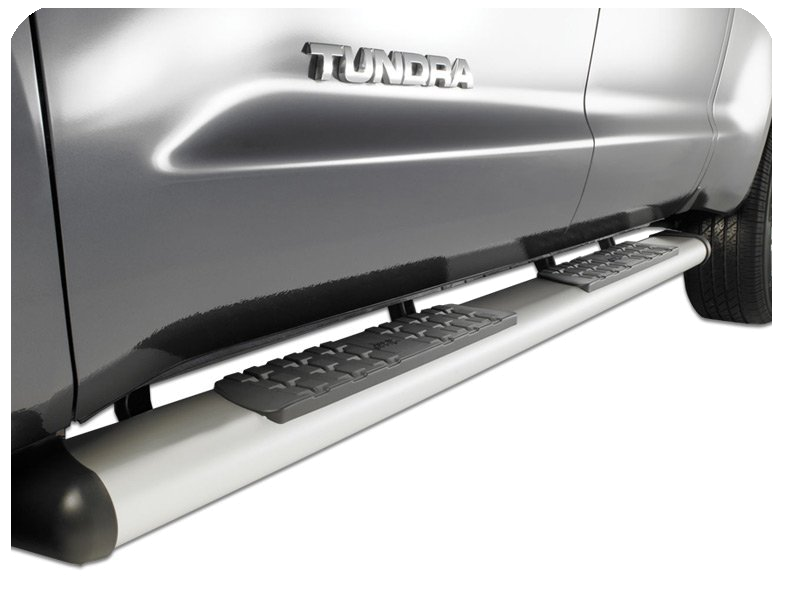 These modern running board designs are no longer tied to one special truck model and have expanded to allow optional bolt-on drop steps to allow for extra customization. 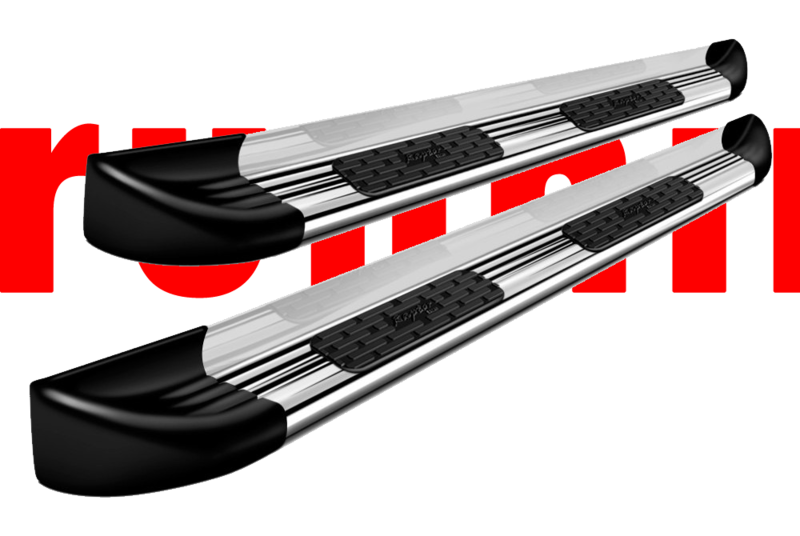 Running boards are located at the bottom of vehicles (on either or both sides) typically at the foot of a truck’s door. They serve two main functions. The most obvious function is to serve as a step. This is especially important for taller trucks (or if truck passengers are on the shorter side). Without an extra step into some of the taller models, getting into a truck will feel like climbing a mountain. Protecting vehicles from various forms of road debris is a second function of running boards. When vehicles move their wheels kick up all kinds of debris (…from rocks and dirt to other more destructive things like nails). Having a running board in place can block some of this debris from being thrown high enough to scratch and/or damage doors and side panels. Another added benefit of running boards is that they can help to keep the interior of your truck or van clean. In this way, running boards can act as a doormat; a place where passengers can wipe dirt off their feet before entering the vehicle. 1Do you have to drill into my vehicle? This all depends on the brand of running board and model of vehicle. Some sets are custom made for pre-drilled slots on your vehicle already, which makes the installation process easy and seamless. While others might require us to drill to mount them securely.